uly 2015 has been the busiest month for our Team all over Italy. 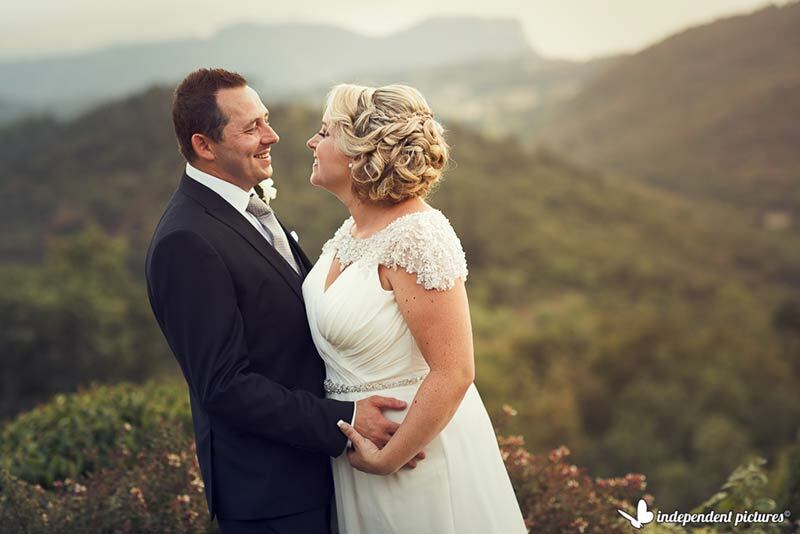 We planned many wonderful weddings and here we are a short preview of all of them. We will get back soon to tell you more about them in separated and dedicated posts. 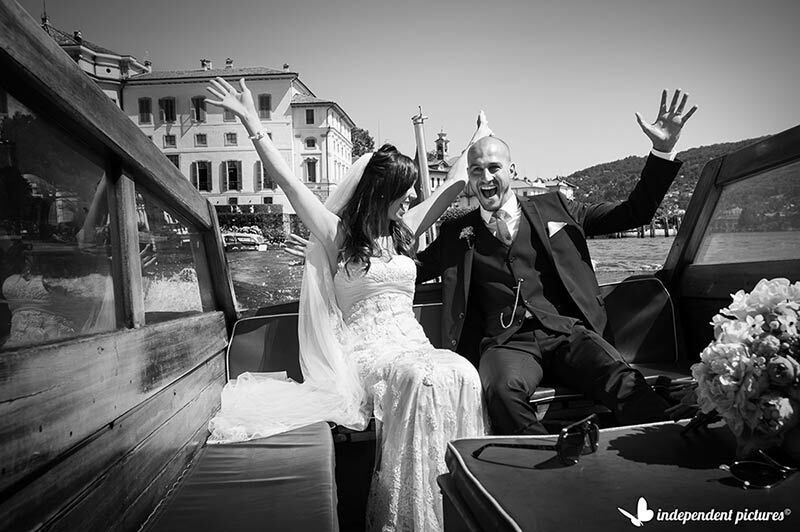 We start with the very beginning of the month, on July 2nd Sarah and Simon got married on Lake Orta. Our planner Valentina followed the event for us. Weather was incredibly hot but the wedding was a real success. 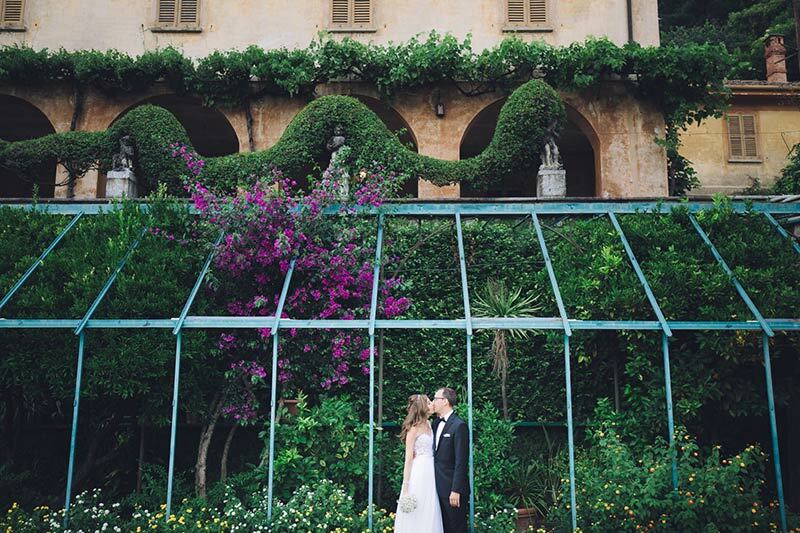 Sarah and Simon tied the knot at Villa Bossi, wonderful garden of Orta village town hall. 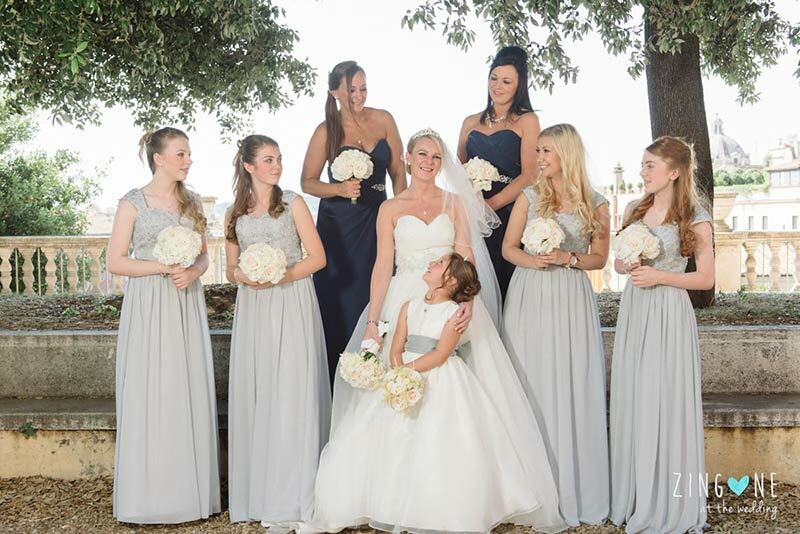 Newly weds and their guests reached Villa Gippini – the enchanting garden of Hotel San Rocco for a toast to follow and after some lovely pictures and some more on St. Julius Island just for the bride and groom, the whole group reached Ustaria Ca dal Rat for their reception. A wonderful acoustic duo with voice and guitar accompanied the event for a lovely evening with with lot of dancing and singing. The day after on July 3rd, Valentina followed another event on Lake Orta. 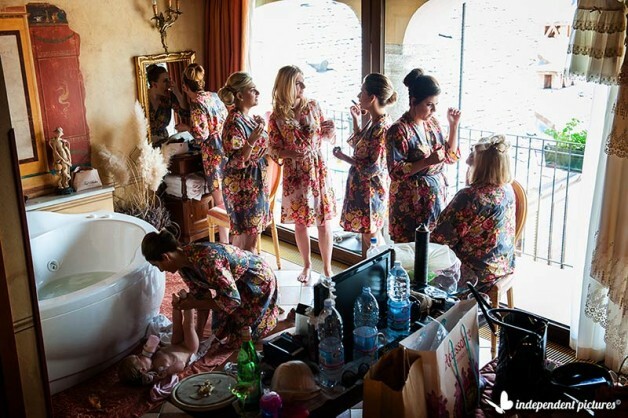 Louisa and Louis’ wedding. Louisa is an incredibly sweet bride and she choose pink to be her themed color. 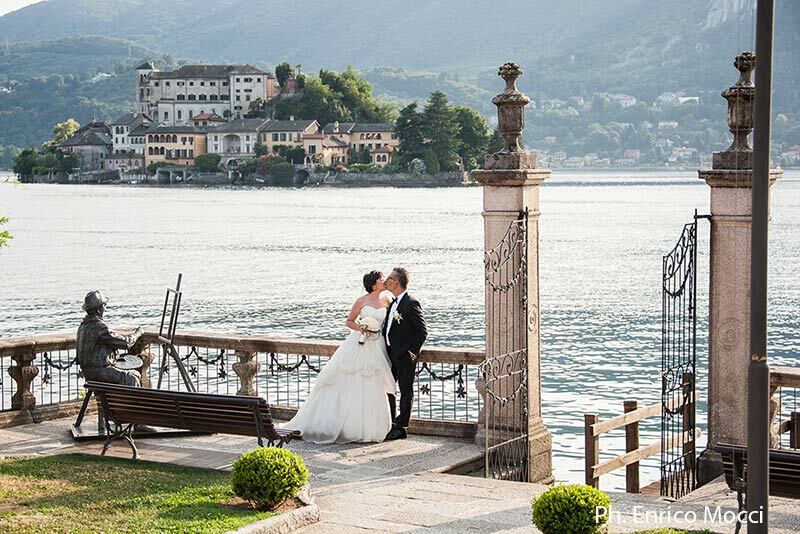 Very romantic as a wedding on Lake Orta can be. 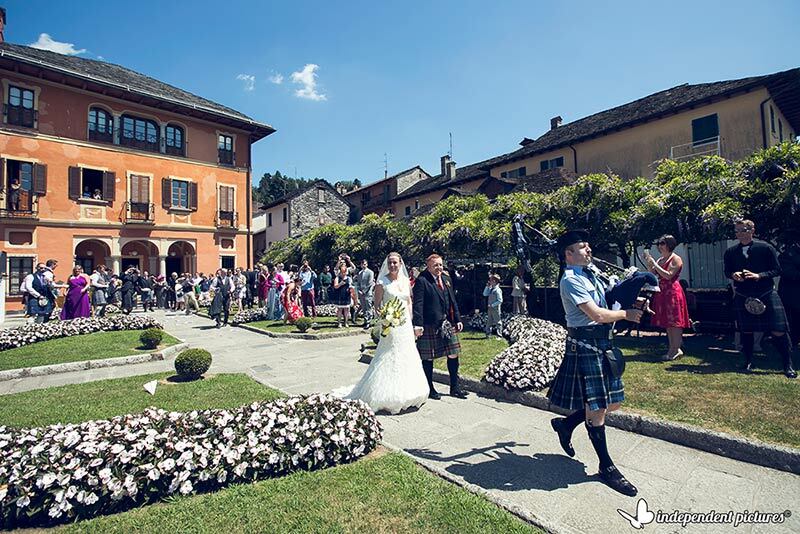 Civil ceremony was held at Villa Bossi the town hall of Orta San Giulio. A toast to follow was held in Piazza Motta – Orta village main square. It was the set for great group photos too. 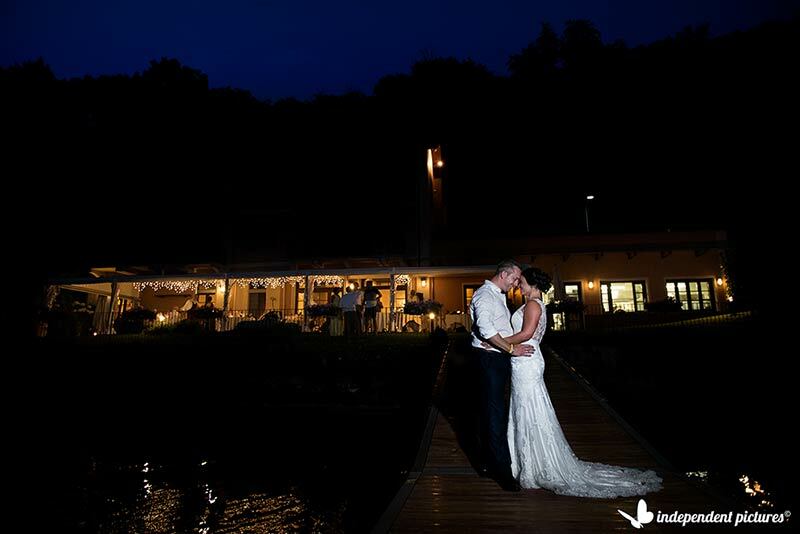 Louisa and Louis had the chance to reach St. Julius Island for some romantic photos and headed back to Ustaria Ca dal Rat for their reception. After a gourmand dinner they really rock on the dance floor with a great DJ playing for them. 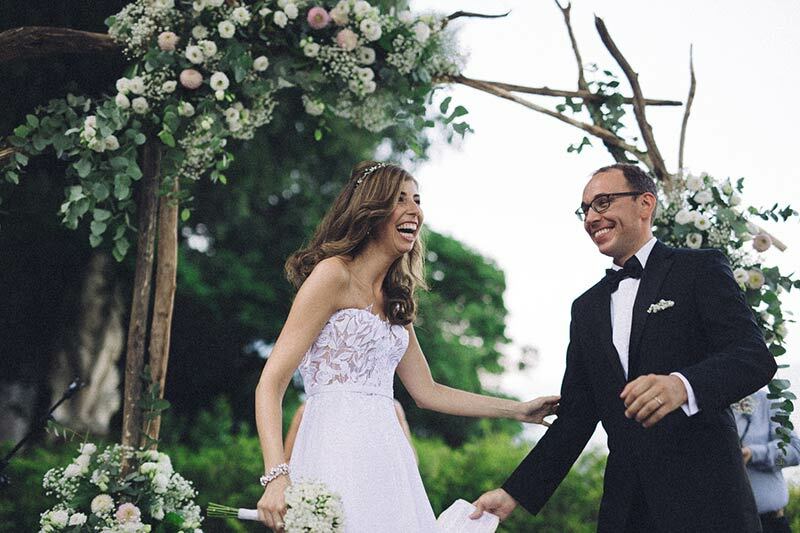 Another wedding for Valentina to follow on July 4th. Lidiya and Victor’s wedding. An intimate group coming from all over the world, India, Sweden, UK and Turkey. 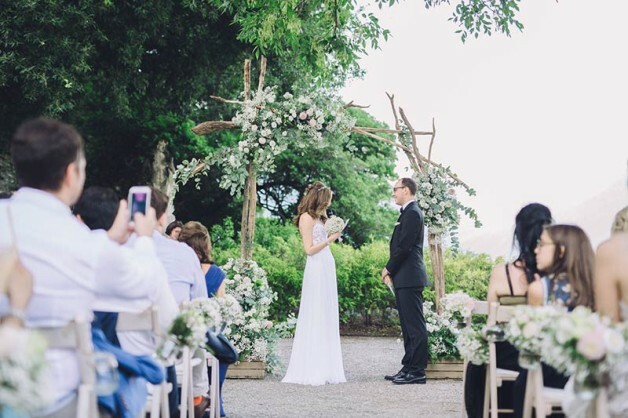 They opted for a symbolic blessing in the gardens of Villa Bossi. Villa Bossi is the venue where civil ceremonies can be arranged in orta but they also allow symbolic blessing in their grounds. 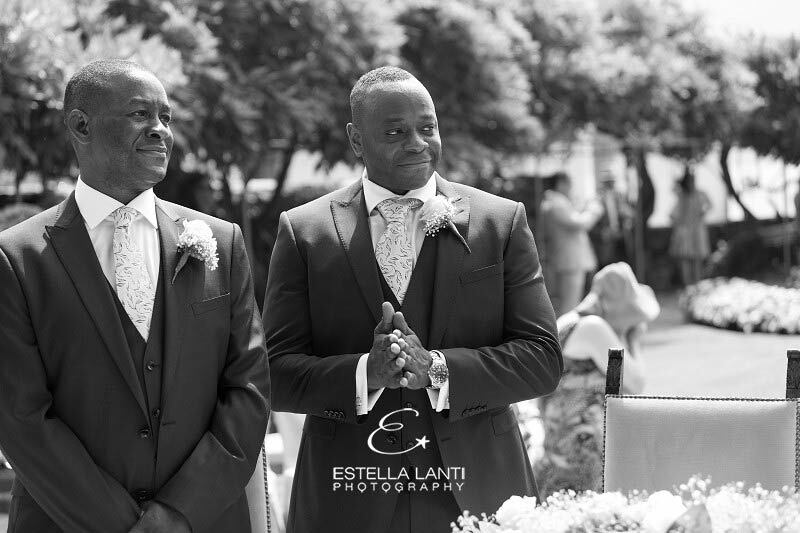 A professional celebrant performed a tailored ceremony for these two lovely guys. 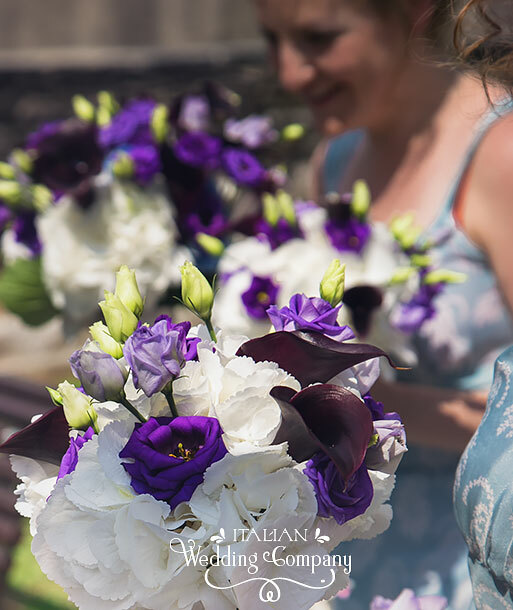 Lidiya had a wonderful country style purple bouquet made by La Piccola Selva Floral Designer. 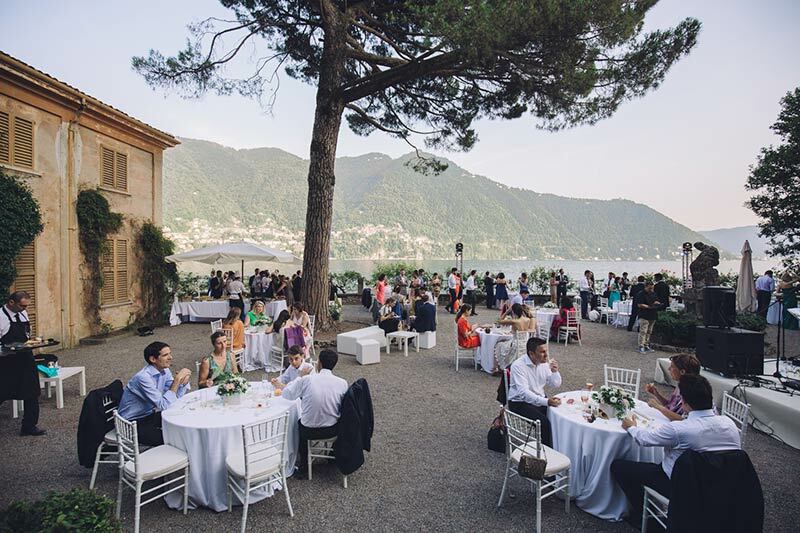 After the ceremony the group reached Villa Gippini at Hotel San Rocco for a refreshing toast and some canapés. And after some photos on St. Julius Island they reached Ustaria Ca dal Rat for their reception. A long single table on the terrace and a lot of Ethnic music to celebrate. 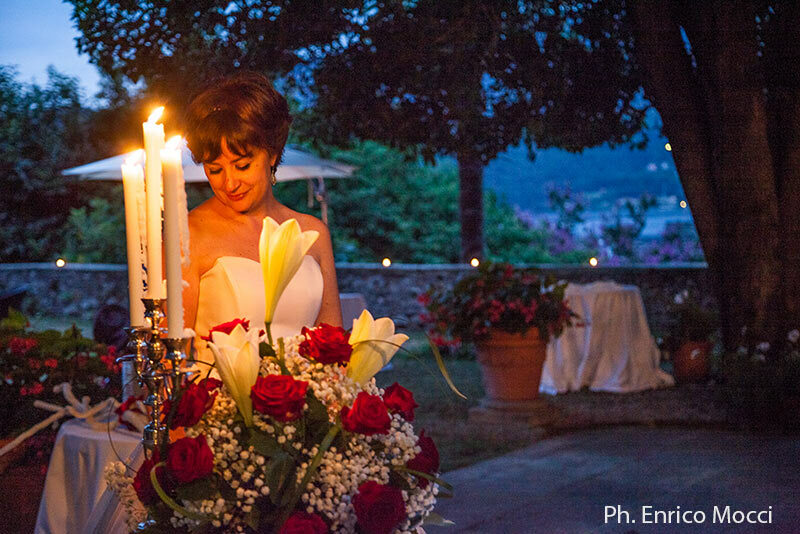 On the same day La Piccola Selva Floral Designer followed for our team a lovely Italian wedding: Monica and Stefano’s. 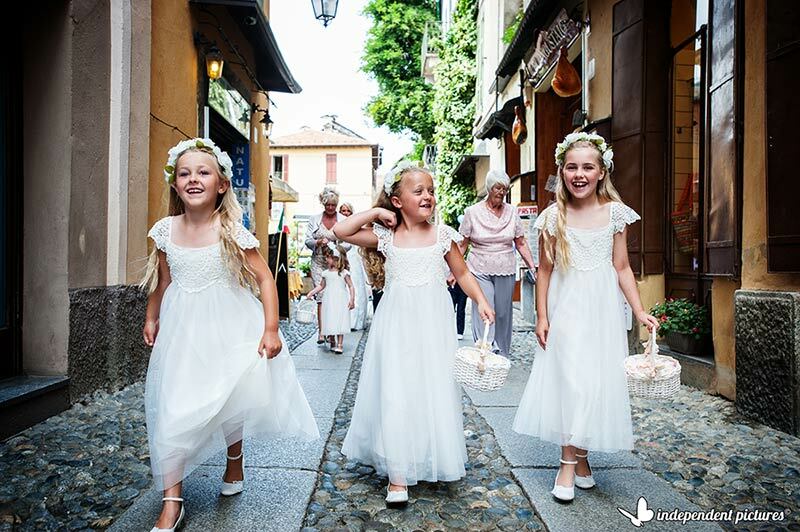 The event was totally planned in small village of Pettenasco just few km from Orta village on the shores of Lake Orta. Pettenasco is a little aside Orta, it is a little more quiet and less expensive. 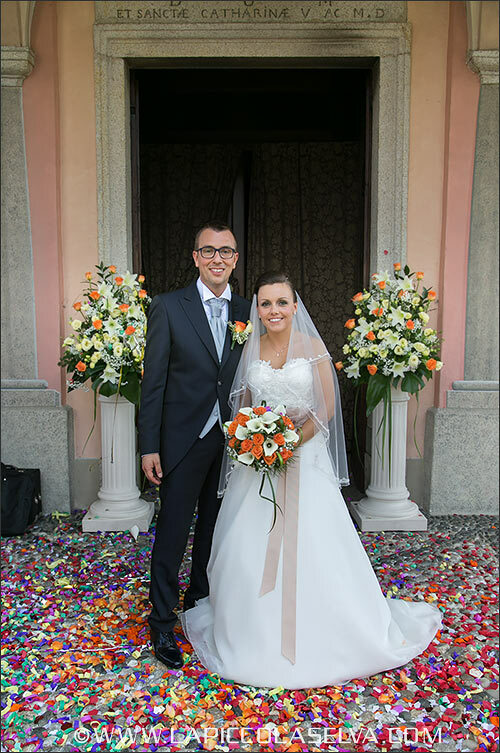 Stefano and Monica opted for a Catholic ceremony in parish church of Pettenasco dedicated to Santa Caterina with a fun reception to follow at Hotel Giardinetto on the lake shores. 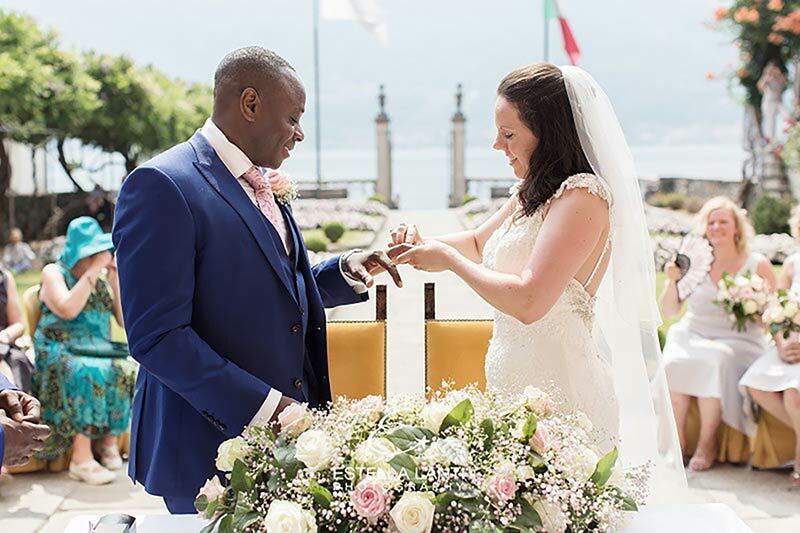 On July 2nd they planned a romantic and very intimate Catholic ceremony with a fine dinner in a luxury hotel on the shores of Lake Como. On July 4th they planned the real party! Luca and Paola rented a private villa for a symbolic blessing and an informal buffet style reception with lots of music and dances. 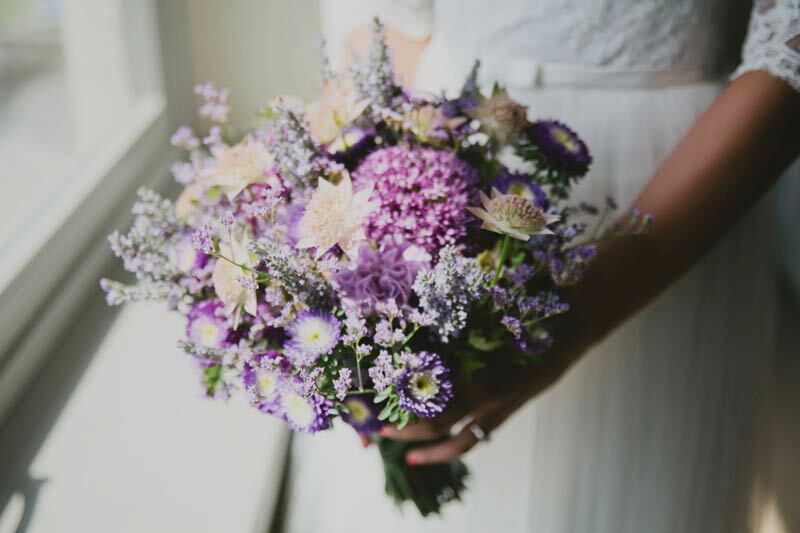 A country chic themed event with simple floral decorations but very elegant. A live band played during the reception paving the way to a great DJ playing up to late a night. In July 9th we get back to Orta for another wedding Valentina followed for us: Claire and Kevin’s. A big Scottish event in Orta with about 100 guests! 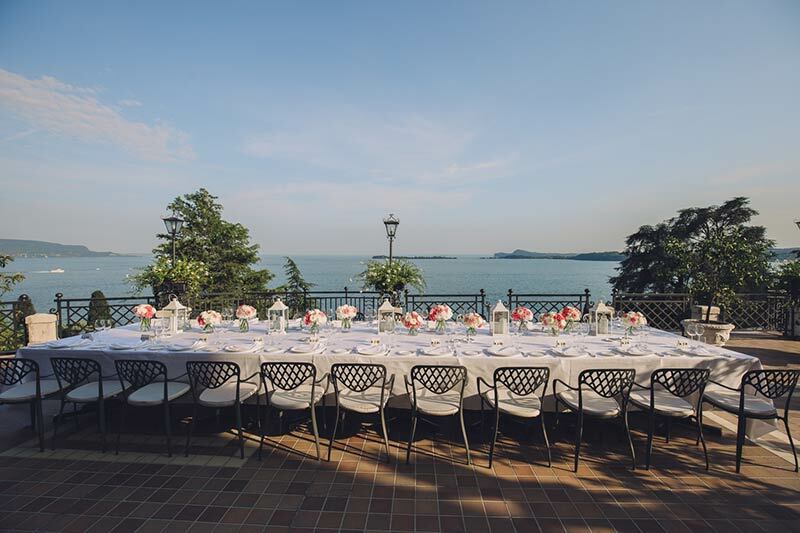 Civil ceremony was held at Villa Bossi. 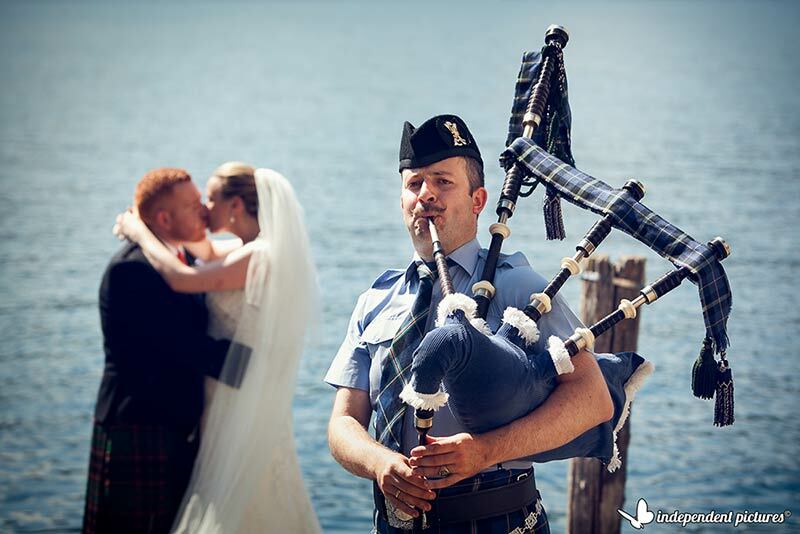 A quartet played for them but at the end the groom planned a special surprise a Scottish bagpiper playing for all the group! It was a travel themed wedding so all guests tossed bride and groom a the end of the ceremony throwing personalised paper airplanes instead of classic confetti, rice or petals. What a fun idea! Aperitif to follow was planned to Ustaria Ca dal Rat. Everybody reached the venue by boat. A boat trip back to Hotel San Rocco for the wedding reception. This time the group did just the opposite of the other groups! It could be a fun and different idea. After the ceremony dance and music for all. Orta was literally full of kilts for a day! On July 10 Valentina followed another event but this time she moved on Lake Maggiore for Kelly and Mark’s wedding. 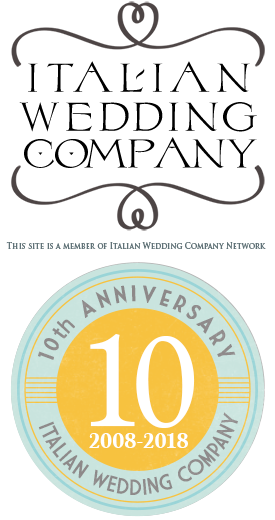 A long planning of more than a year for a fantastic event. A wonderful couple and an amazing group. We will be back soon speaking in details about this event. 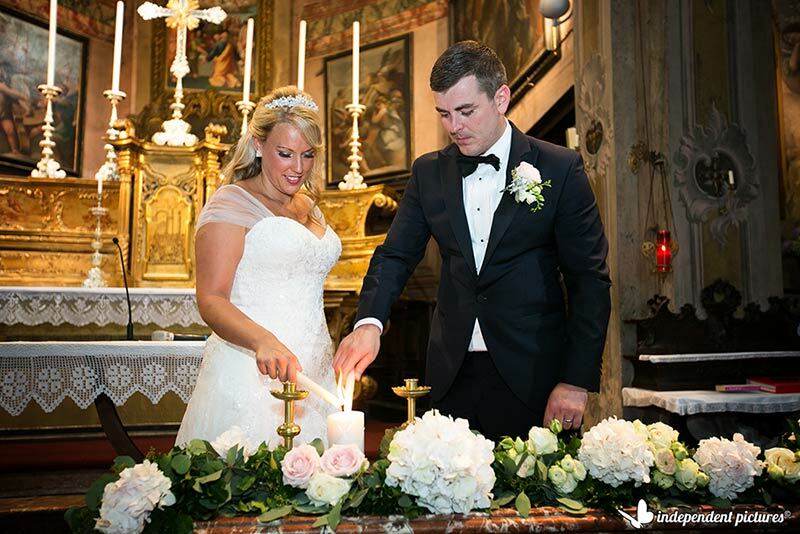 Ceremony was planned at Church of San Vittore on Isola Bella, one of the enchanting Borromeo Islands. 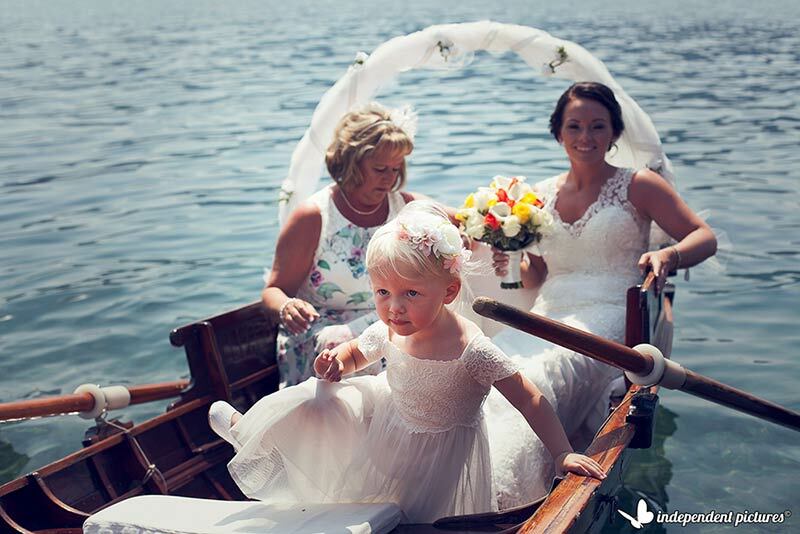 Guests reached it by boat and bride with another boat to follow. 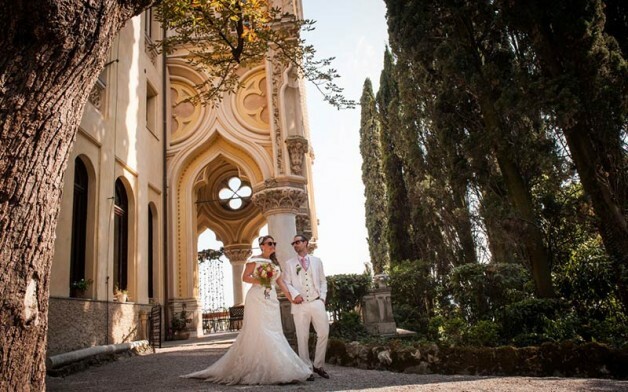 After the ceremony the whole group reached Villa Rusconi Clerici for the reception and bride and groom took the chance to take some amazing photos on Borromeo Islands. 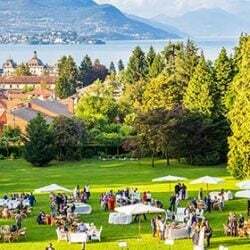 Aperitif was served on the big lawn of Villa Rusconi Clerici and the reception was planned inside the big pavilion. 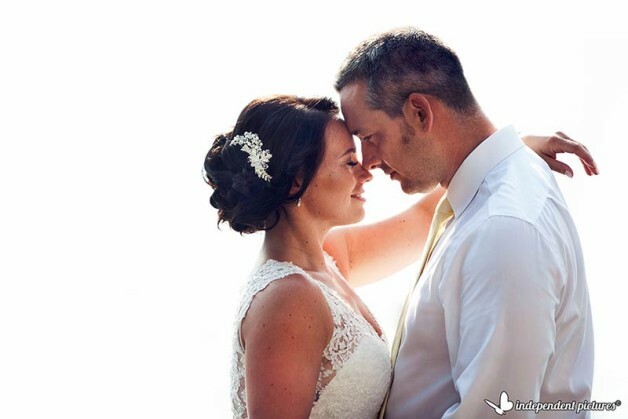 It was set up with wonderful pink flowers, country chic details and hundreds of fairy lights. A great band coming from UK played for them, singer was Nikitta Angus one of the most applauded finalist of X-Factor UK Series 3. A fantastic voice! A great Dj also played for them to follow for a great party! What a night! 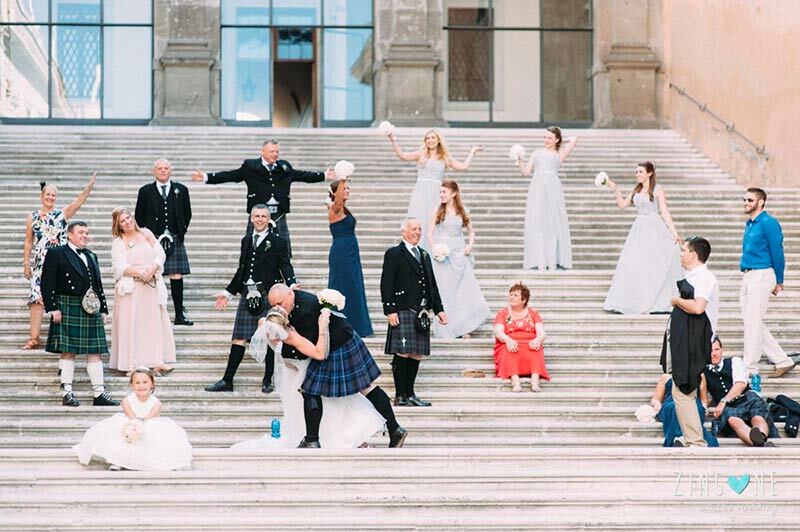 On July 11th our planner Stefania followed another Scottish wedding, this time in eternal city of Rome! 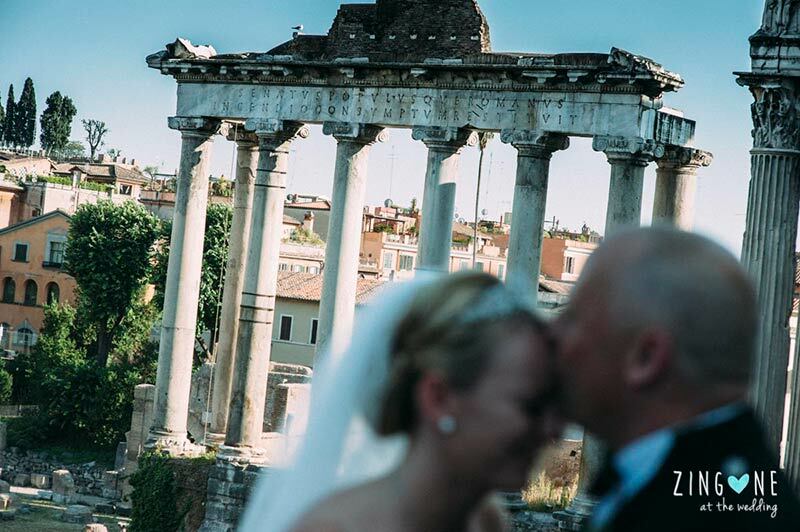 Lindsey and Mark tied the knot at Campidoglio in Rome with a romantic civil ceremony in the very beating heart of the city. They opted for an ivory and blue themed wedding with romantic roses, lysianthus and hydrangeas floral compositions. 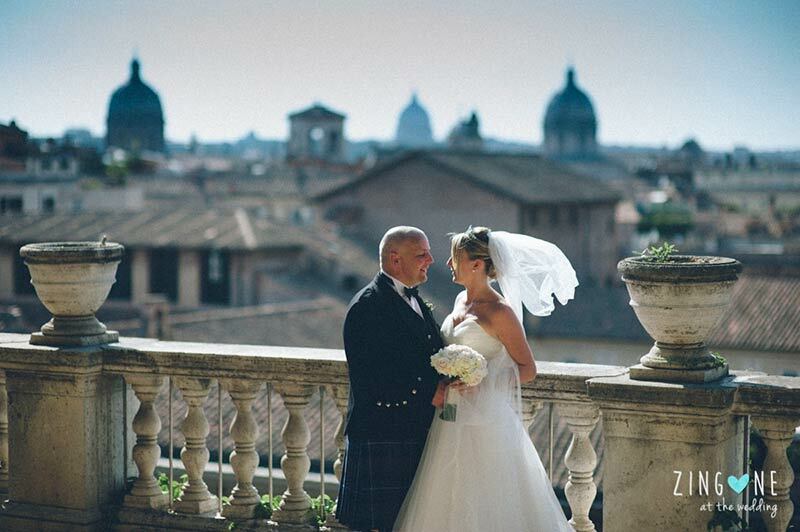 For their reception Lindsay and Mark opted for a luxury hotel terrace in Rome. Aperitif was served on a fantastic terrace overlooking Rome skyline with a gourmand dinner to follow in the restaurant of the hotel. We have to remember that bride and groom are great Elvis Presley fans so for their party to follow they danced vintage rock and roll music by the King of Rock… Mark for the occasion surprised all dressing up as Elvis in White!!! 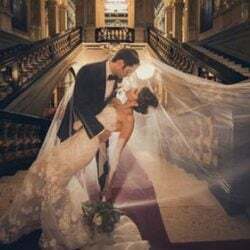 This wedding is also featured on our partner sides Italian Rome Wedding and Italian Ethnic Wedding. 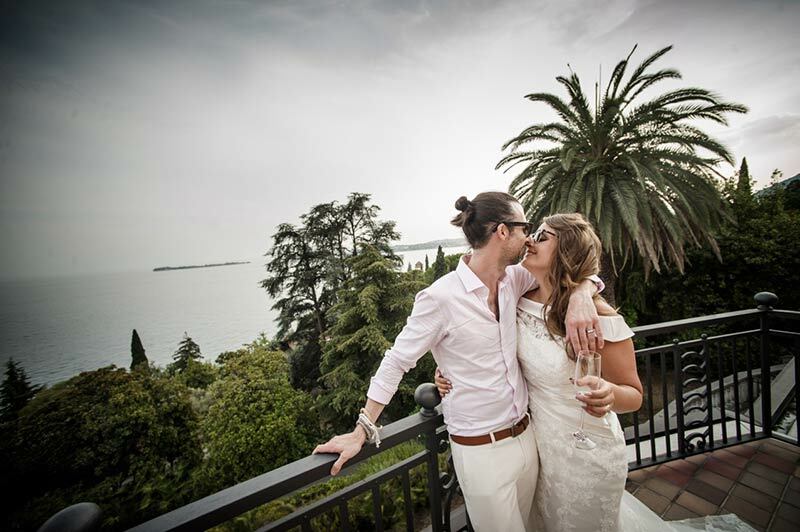 On July 12th we move to Lake Garda for Thomas and Alexandra’s wedding that our planner Katiuscia followed for us. On the day before, July 11th they planned their official civil ceremony in Gardone Riviera with an intimate celebratory meal to follow. The day after they planned their Symbolic blessing at Isola del Garda with a fantastic reception to follow in a Villa in Gardone Riviera. An enchanting dinner with a fun party to follow. 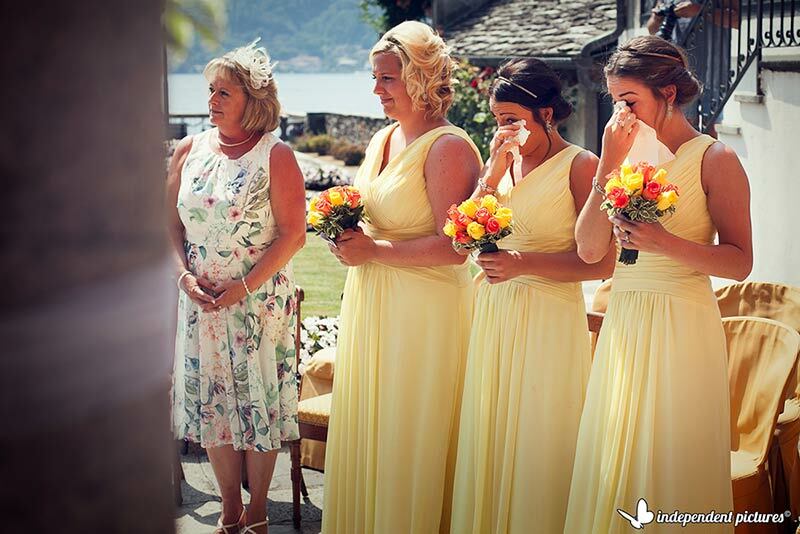 On July 18 Valentina followed another event on Lake Orta: Lucy and Lance’s wedding. They opted for a religious ceremony at parish church of Orta: Maria Assunta church in the heart of the medieval village. Lucy wanted a red themed wedding with red roses and dark red cala lilies. 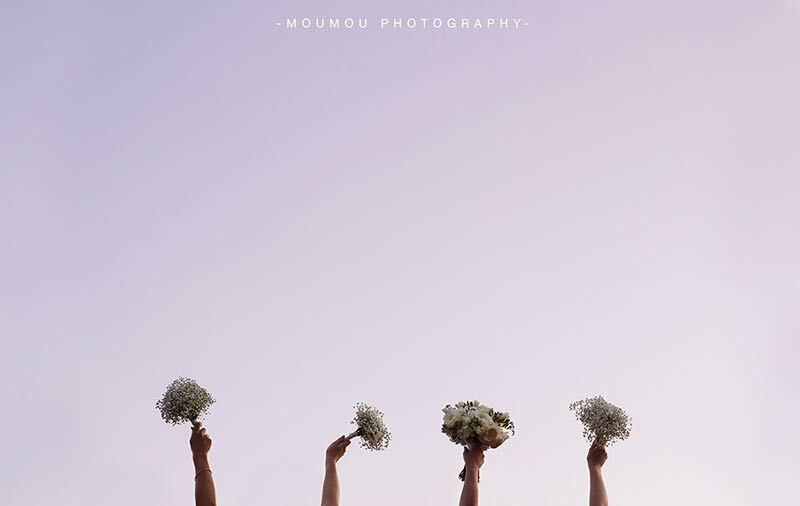 Floral decorations perfectly matched pretty bridesmaids’ dresses. For her bridal bouquet she wanted something different: a romantic glowing bouquet all made by brooches. So very unique! For their reception they chose Ustaria Ca dal Rat. The event had very original decorations all made with chalk boards. 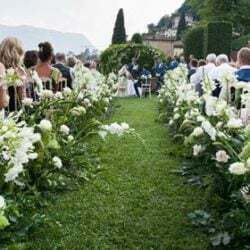 Fun ideas like flip flops for guests to dance, a table chart with find your face find your place criteria, kegs of beer for the bar and limoncello bottles and Italian olive oil as wedding favours. The atmosphere was really laid down, relaxed and fun. A fantastic party for all with lots of dances and music. 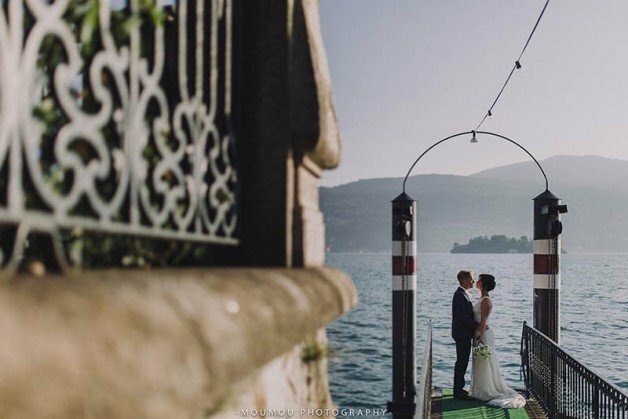 On July 23 Valentina followed another event for the Team: Emma and Greg’s wedding on Lake Maggiore. Emma and Greg are a lovely British couple who lived in Milan. 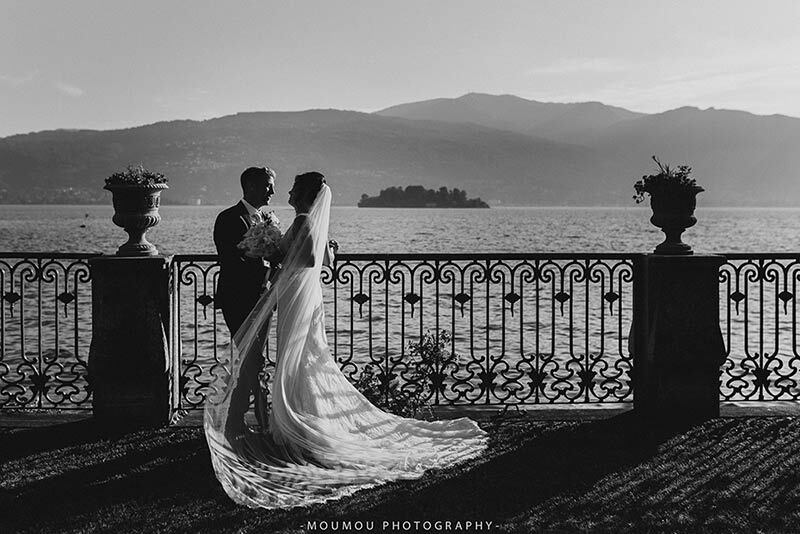 They decided to tie the knot on Lake Maggiore at Villa Rusconi Clerici. The ceremony was held outdoor in the garden by the shores. All guests arrived by boat and same did the bride with her bridesmaids to follow. After the ceremony a rich aperitif was served in the big lawn while bride and groom took a boat to reach Pallanza town hall to have their legal civil ceremony. 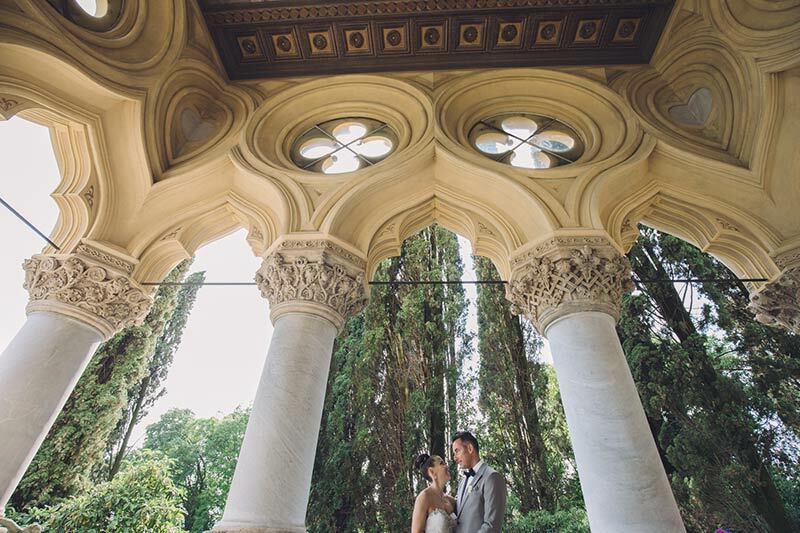 Villa Rusconi Clerici and town hall are so close that this can be easily done and you can even have some time to have lovely wedding photos ad Emma and Greg did. The garden party was lovely, with prosecco, spritz, drinks, canapés and fun garden games as space hoppers, badminton and giant jenga. Everybody loved it! The reception was planned inside the pavilion with a great party to follow and midnight pizza inside the cellar of the villa. A great fun party! 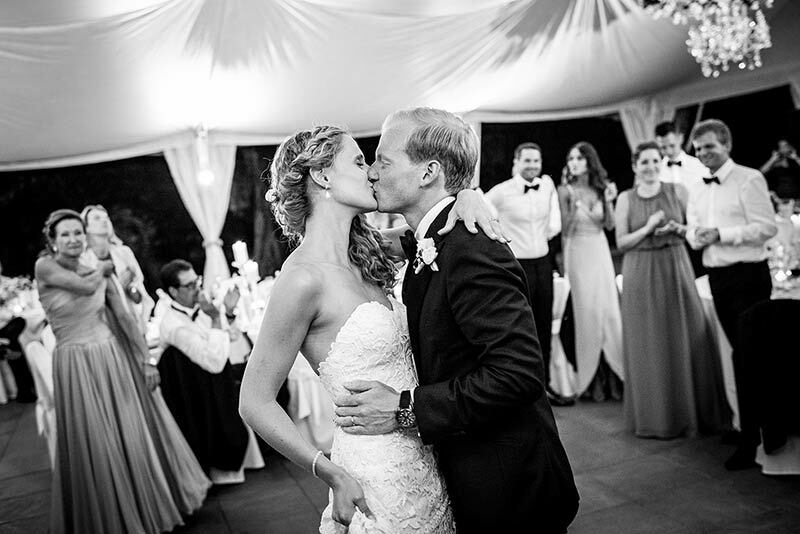 On 24th July Katiuscia followed another romantic event on Lake Garda: Jade and Christopher’s wedding. 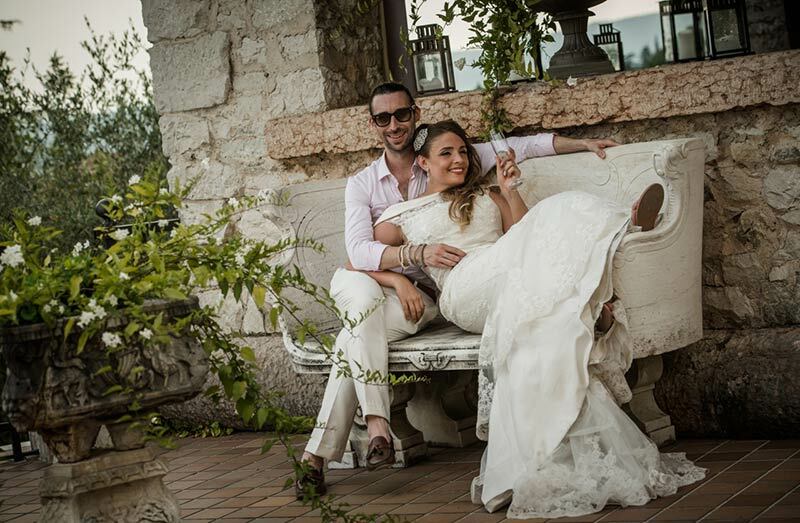 Legal civil ceremony and Wedding reception was planned all in the same venue: a romantic restaurant in Torri del Benaco. Aperitif and dinner was served to follow on the terrace of the restaurant with a great breathtaking view over Lake Garda. On the same day Katiuscia followed also Georgina and Benjamin’s wedding. 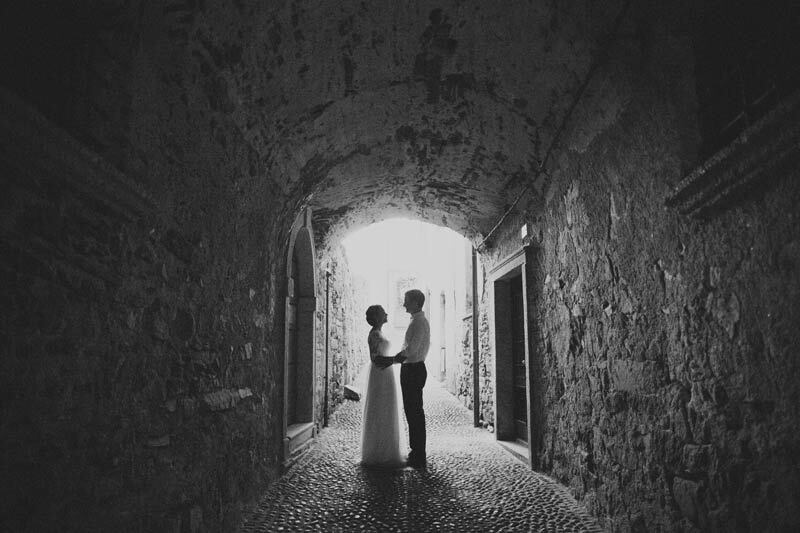 They opted for a civil ceremony at the town hall of Gardone Riviera early in the morning. 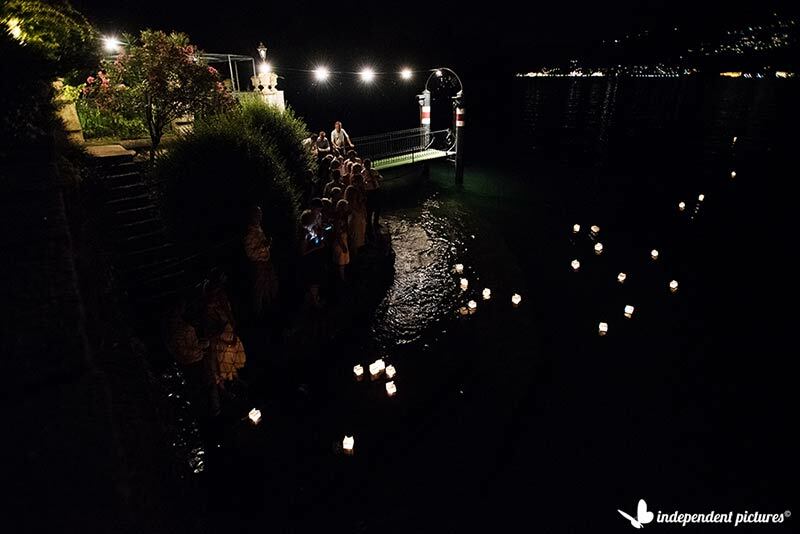 The symbolic ceremony was held at Isola del Garda in the afternoon. Right after the bride and groom and their guests reached by boat a lovely villa in Gardone Riviera for their reception. A romantic vintage themed event in the shades of white, pink and red of peonies and roses. On July 25th Valentina followed Jessica and Paul’s wedding on Lake Orta. Jessica, Paul and their families choose a full vacation on Lake Orta staying many days in the village in a private villa. 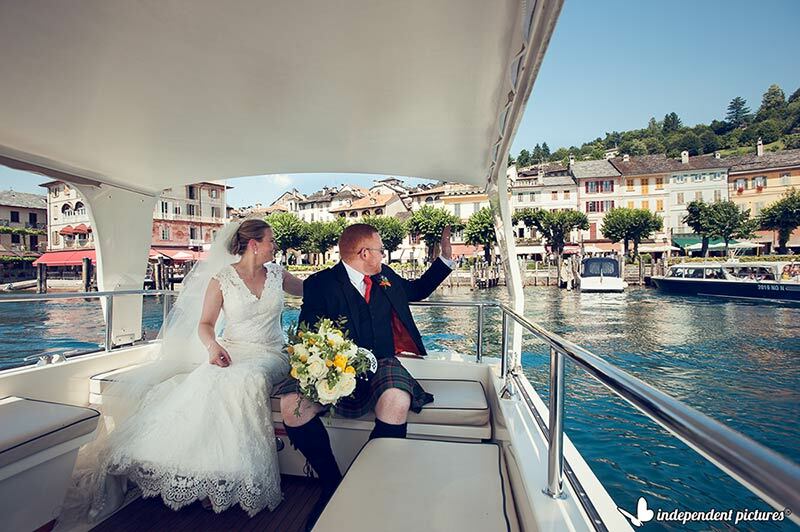 On the day of the wedding Jessica reached Villa Bossi by boat as tradition wants in Orta. 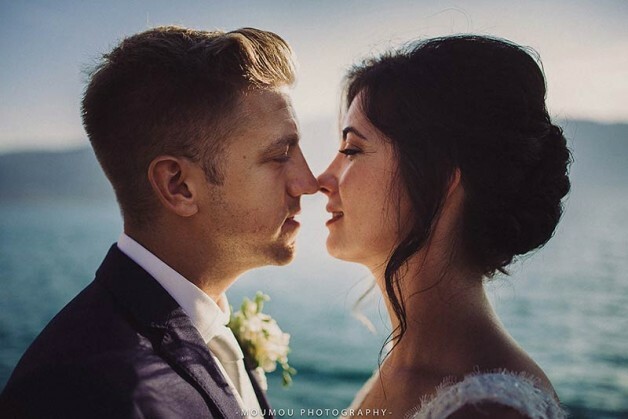 After a romantic civil ceremony the full group reached St. Julius Island restaurant for a refreshing aperitif on the Island and some fun photos. Reception was then planned to Ustaria Ca dal Rat. Jessica and Paul and their friends had a great time thanks to the music of a fantastic dj. Jessica wanted a wine themed wedding in the shades of light blue and plum or better red wine color! 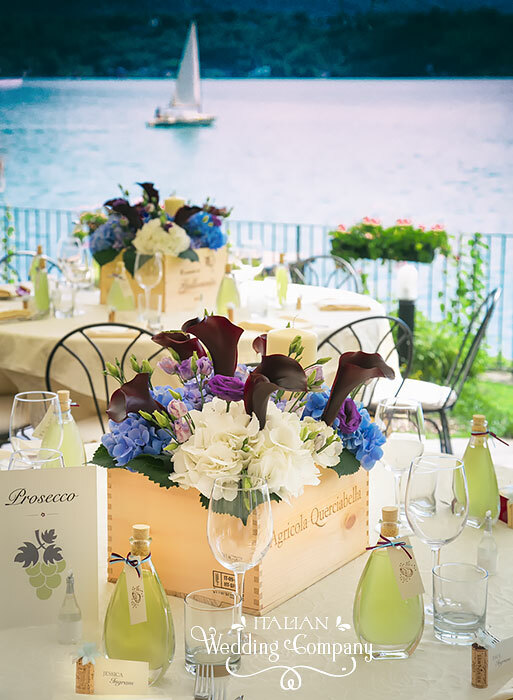 Her centrepieces were created in wooden wine boxes and tables were named out of Italian wines. Table plan was also created with wooden wine boxes. 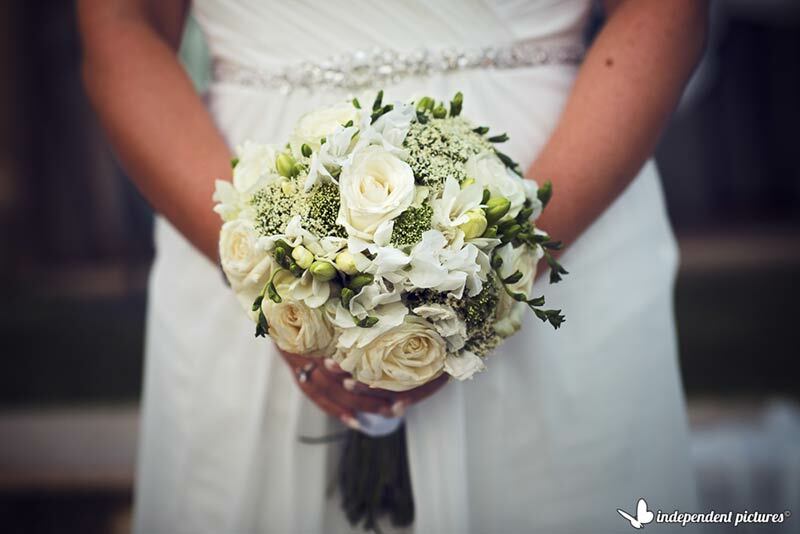 Fantastic flowers by La Piccola Selva Floral Designer. On 24, 25 and 26 July Alessandra and Veronica were busy for a 3 days wedding: Sandra and Marc’s. They planned for them a welcome dinner, the wedding day and the goodbye brunch. 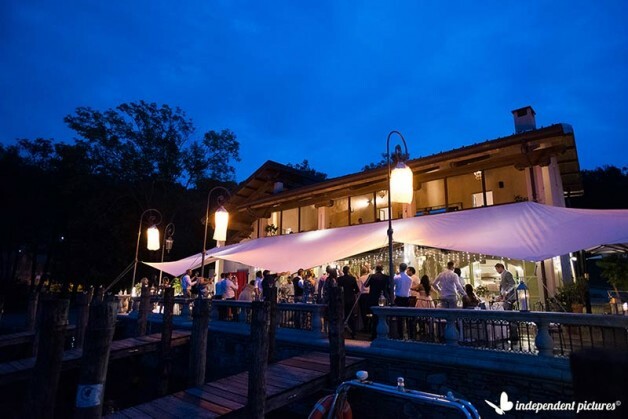 The first night was a rustic fun bbq in a boutique hotel by Lake Como shores. 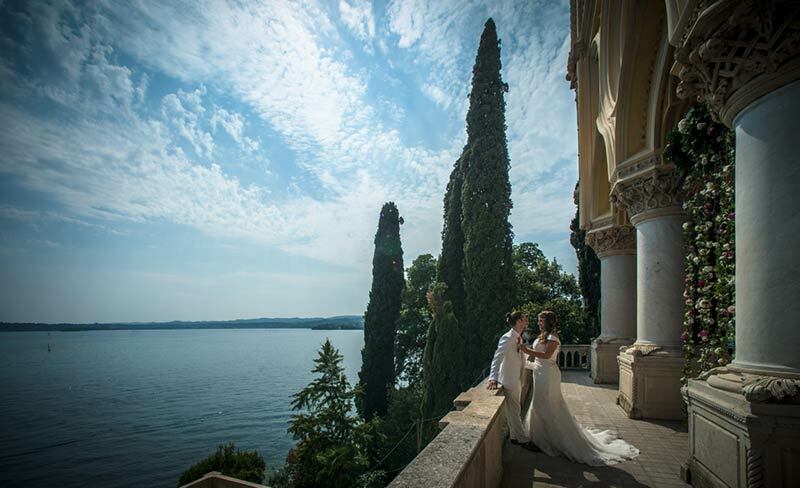 The wedding day was planned in a private villa with a terrace overlooking the lake where ceremony was held. Aperitif and wedding dinner to follow was planned under secular trees on higher terrace of the villa. Decorations were extremely elegant and sophisticated in the shades of white and pink. 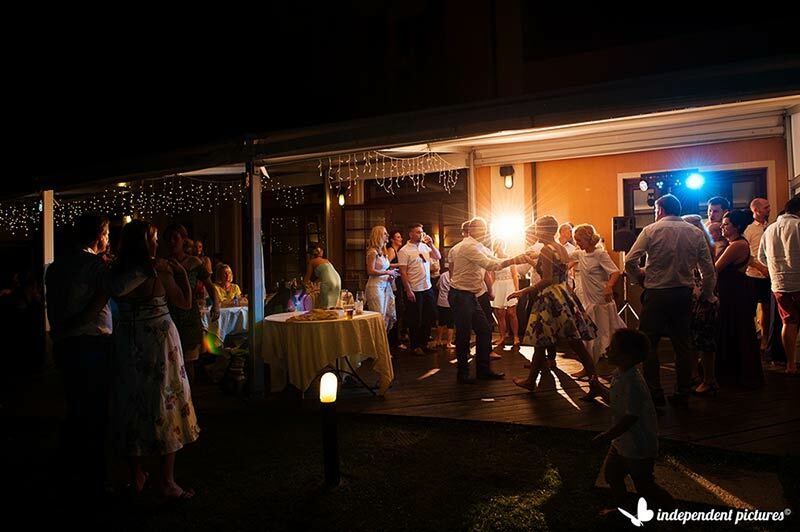 Bride and groom planned a lot of fun surprises for their guests and a lot of dances and music in the cellar of the villa. Day ater brunch was a white event! Dress code was total white. It was planned by the pool of the boutique hotel of the day before event. A relaxing day for everybody. We close our busy month with July 31! La Piccola Selva Floral Designer followed for us another Italian couple: Giulia and Ferdinando’s wedding on Lake Orta. They chose a late afternoon civil ceremony in the gardens of Villa Bossi. It could be a great idea considering Italian heat of summer months. In July and August temperatures can reach even 40 degrees! Everybody appreciated it especially elder guests and families with kids. It was a cooler time for a more relaxed outdoor event. 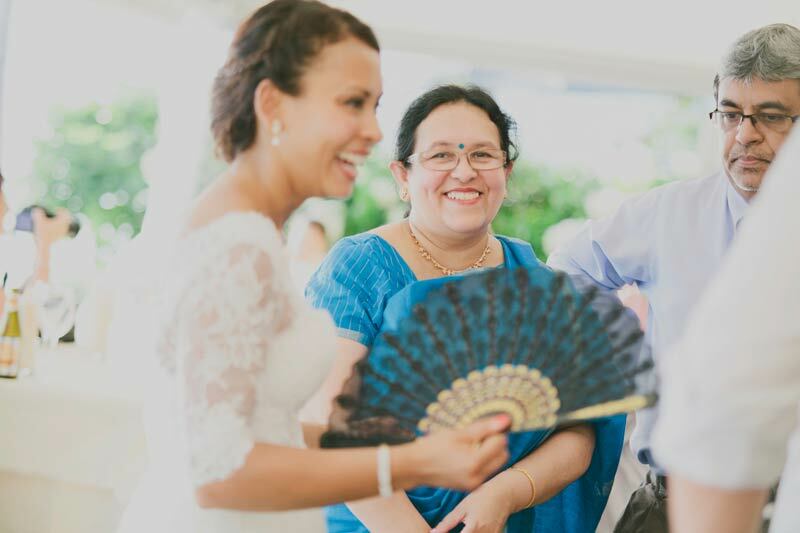 Reception can be still a great fun for everybody as Giulia and Ferdinando’s wedding was. 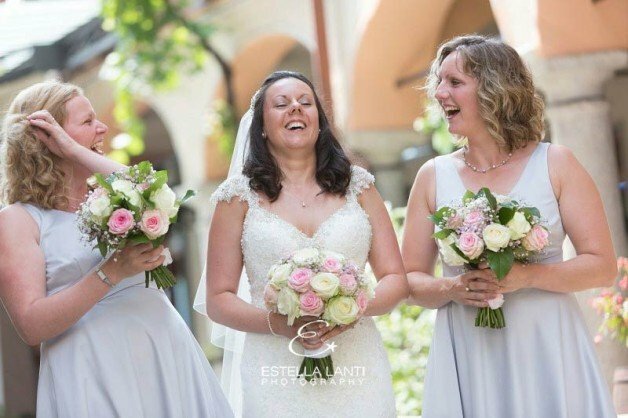 They chose red and white as theme color and filled Palazzo Gemelli in Orta with many celebrating balloons and red roses. A fantastic party everybody will remember! On the same day Valentina followed a fun and loud party still in Orta. 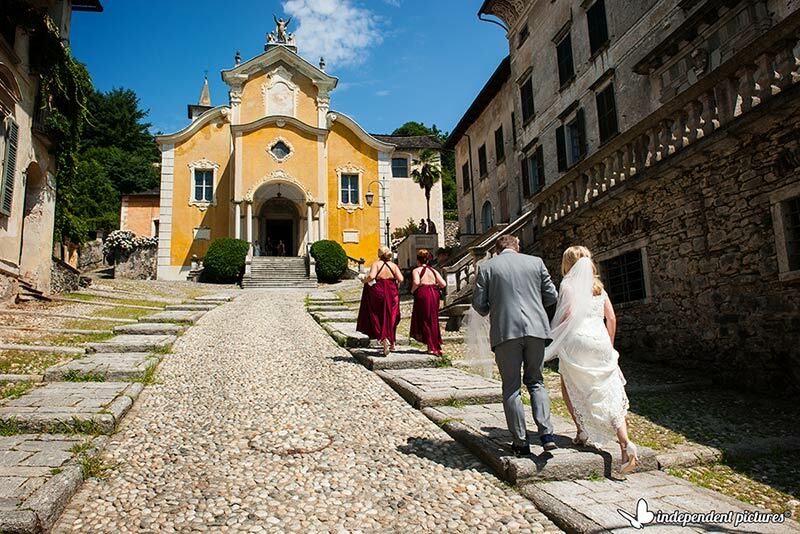 Hayley and Wayne got married at Maria Assunta Church the parish church of Orta. 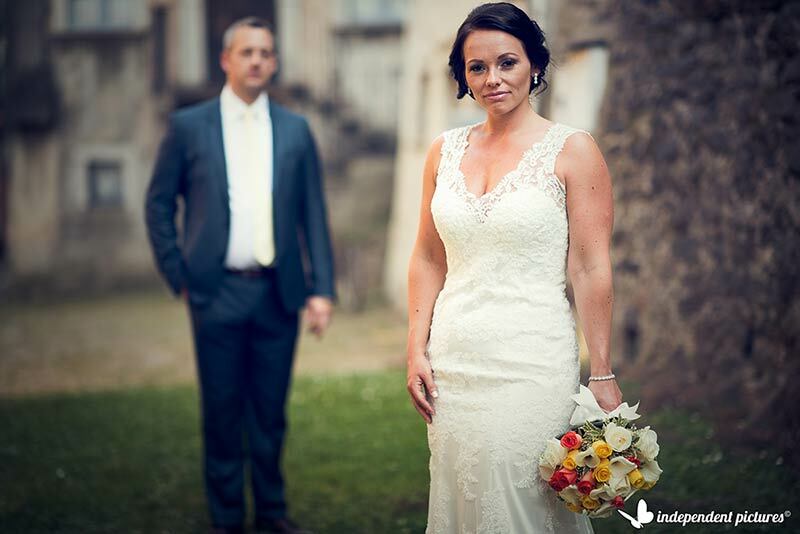 Hayley arrived with the bridal party walking… a lovely idea for amazing photos. 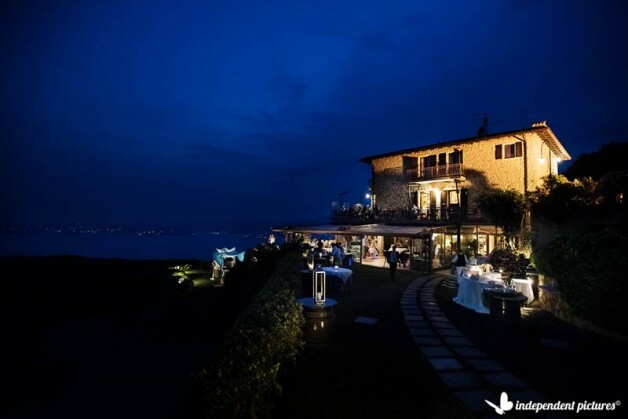 After the ceremony the full group reached Villa Gippini at Hotel San Rocco for a quick toast and while bride and groom reached St. Julius Island for wedding photos, guests reached Orta Beach Club for the reception. The venue was decorated at its best with golden vases and white flowers as centrepieces many fairy lights and big LOVE sign with bulbs. Theme of the wedding was surely gold as many details and decorations can tell. The party had a fun Photo Booth to entertain the guests and lots of music and dances up to midnight! The party did not finished then…. it kept on going in the Orta main square in a little bar that can stay open up to late at night.